I tend to be an opportunistic photographer, content to wander about and shoot whatever I happen to find. 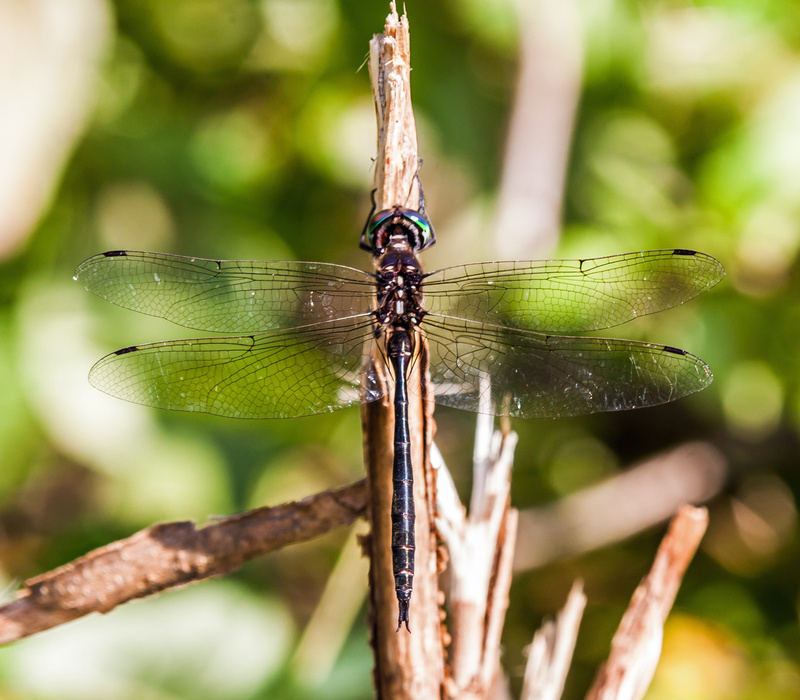 For the last couple of weeks, though, I have been searching diligently for a particular species of dragonfly, the Fine-lined Emerald (Somatochlora filosa), and yesterday, the final day of August, I finally found one at Occoquan Bay National Wildlife Refuge. Last year I was lucky enough to see a Fine-lined Emerald several times, but I wanted more. 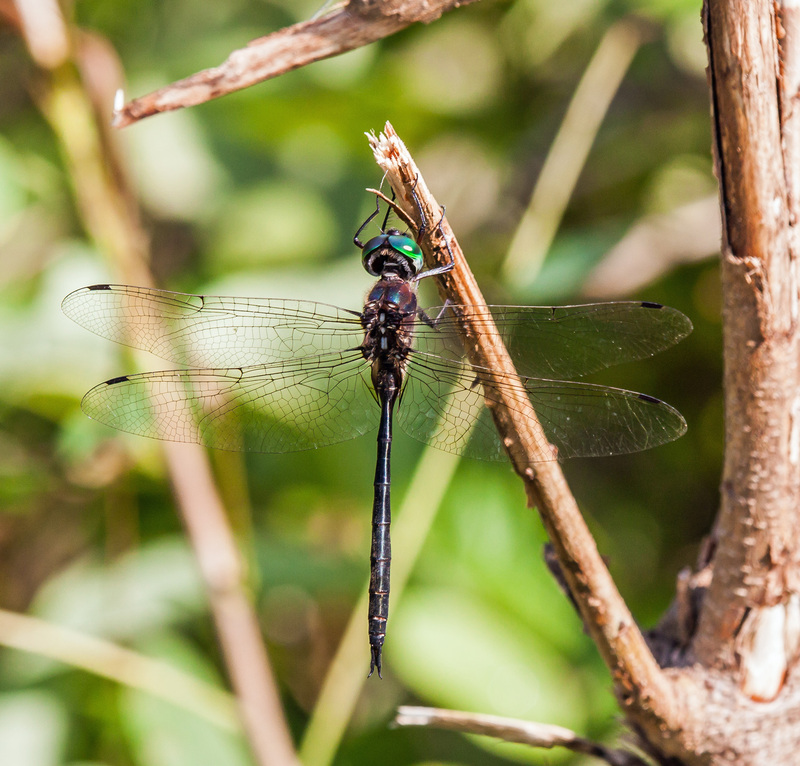 As befits its name, my first glimpse yesterday of the dragonfly was of its brilliant green eyes as it flew by me. Unlike some species that fly high the air, Fine-lined Emeralds often patrol at waist to eye level. I was able to follow and track the dragonfly until it perched. This species hangs vertically from vegetation when perching, so it can be tough to spot one unless you have seen it land. I was fortunate to be able to photograph this beautiful dragonfly on several different perches until it finally disappeared from sight. Here are a couple of my favorite shots from our altogether too brief encounter yesterday. Your persistence deserved the reward that you have received and now share! Those eyes are a beguiling shade of emerald green. I will save this for Benjamin, he will love this beautiful dragonfly! Thank-you, Mr. Mike!! Looking at those green eyes the term “the green-eyed monster” immediately came to mind! Wow. Great capture. He’s easy to miss, even in the photo.